The Parish Council meets four times a year at the Village Hall at 7pm. Dates of meetings and the minutes are published below. The Council welcomes members of the public and items for discussion should be submitted through a Council Member at least one week prior to the next meeting. Planning applications are considered at Council Meetings or additional meetings held as required. In May five new councillors are due to be elected. For full details of the procedures please go to the attached Notice of Election. Polling Day is Thursday 2nd May 2019. The parish council have been investigating the possibility of installing a SID (speed indicator device) at the entrances to the village on the Marnhull Road. These devices flash up the speed of a vehicle as it approaches. We would be purchasing one device to be moved between each end of the village. The village would have to fund and administer the system. Costs are in the region of £3,400. We are looking see if we could share it with Sturminster to reduce to cost. • Most importantly if we have a Sid we would need a group of volunteers to commit to look after the Sid and move it from one end of the village to the other every six weeks. Who is willing to do this? We all know people speed thought Hinton It is in everyone’s interest to try and reduce this. 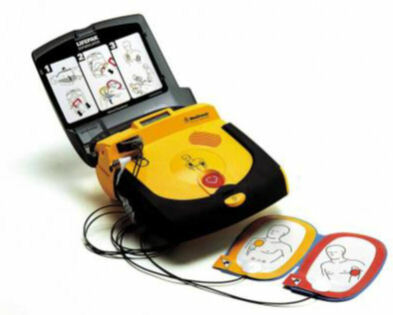 The Defibrillator is now installed on the garden side of the White Horse Pub. IN CASE OF AN EMERGENCY FIRSTLY call 999 and ask for the ambulance service. They will talk you through what you need to do and give you the code for the defibrillator box if it is needed. A number of villagers have agreed to act as contact points in the case of a cardiac emergency. The list below are people who can help and have a basic understanding of the defibrillator.